Group Poster Exhibit at Primavera Sound Barcelona! Posters Rock! 2013 show in Rome! Primavera Sound 22-26 May in Barcelona! Austin SXSW Flatstock here we come! 4th Annual Renegade Craft Fair Holiday Market in San Francisco! Posters Rock! 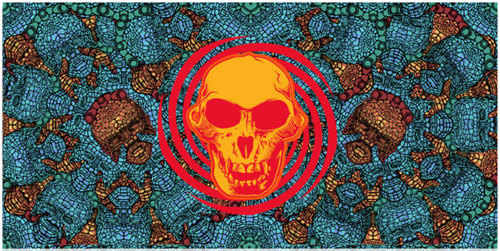 Mostra di rock poster art internazionale, Roma! Flatstock 33 SXSW Austin was great! Renegade Craft Fair LA this weekend! Renegade Craft Fair SF this weekend! Flatstock 29 @ SXSW in Austin! Photo Tours of Renegade Holiday Fair SF 2010! Treasure Island Music Festival ! TRPS poster festival this weekend! 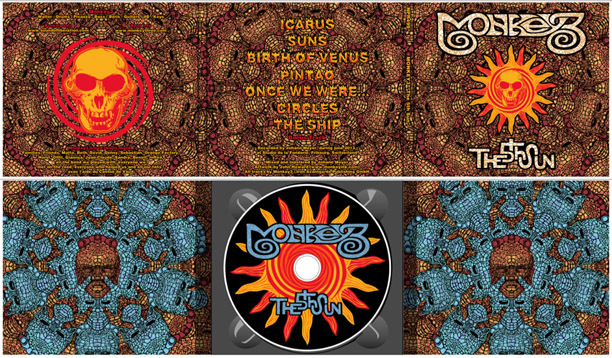 This summer I had the real pleasure of working with Monkey3 on the artwork for their new Double LP The 5th Sun. An epic record, so it was great to get the chance to let the art expand, as well. I love the gate fold sleeve format. A different version of the art is on the CD And a 7inch, too! 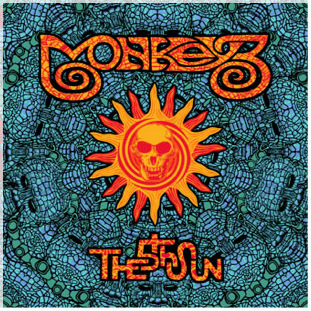 Fantastic project, cheers Monkey3 ! on tour now! Get the neon vinyl at napalm!